Important Reminder for All FX Traders! I just wanted to remind you guys about a forex trading contest conducted in a real account wit real money. Real forex traders do not seek out some moronic demo competition where you place all on one trade and hope for a good outcome. 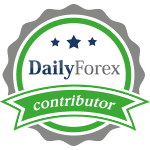 This contest is for real forex traders who wish to compete against other real forex traders for a total price pool of $5,000. Click the image below and don't waste any time to make more out of your trades than you already do. Enjoy tight spreads and fast execution for a change to win the grand prize!